After a sunny forty-five minute Sunday drive from Boston to Sherborn, Mass., my Sous Chef Josh Turka and I arrived at a small white poster paper sign with a thin black arrow pointing us to 38A Bullard Street. The narrow gravel path, surrounded by thick green brush, opened up to a single-story grey ranch home with three wood-paneled barns behind it. 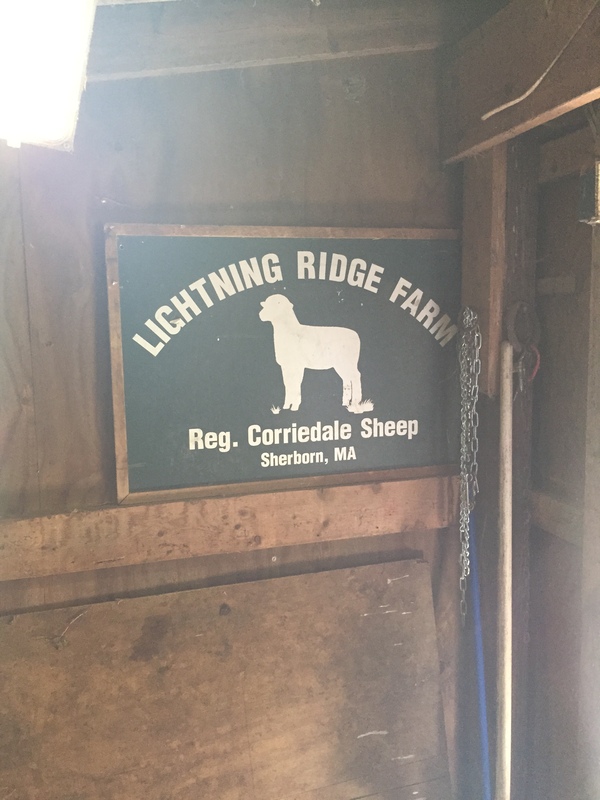 Lightning Ridge Farm is a modest, family-run business dedicated to raising purebred Corriedale sheep and lamb for auction and wholesale. “It’s named lighting ridge because a few years ago, right down the street, 24 cows were all killed by one strike of lighting,” said owner Nancy Miniter. She and her husband John, along with bostonchefs.com, invited restaurant owners and staff to visit the farm, have lunch and watch a whole animal butchery demonstration. This offered a unique and educational experience, bringing chefs out of the kitchen and closer to the products and people they work with. 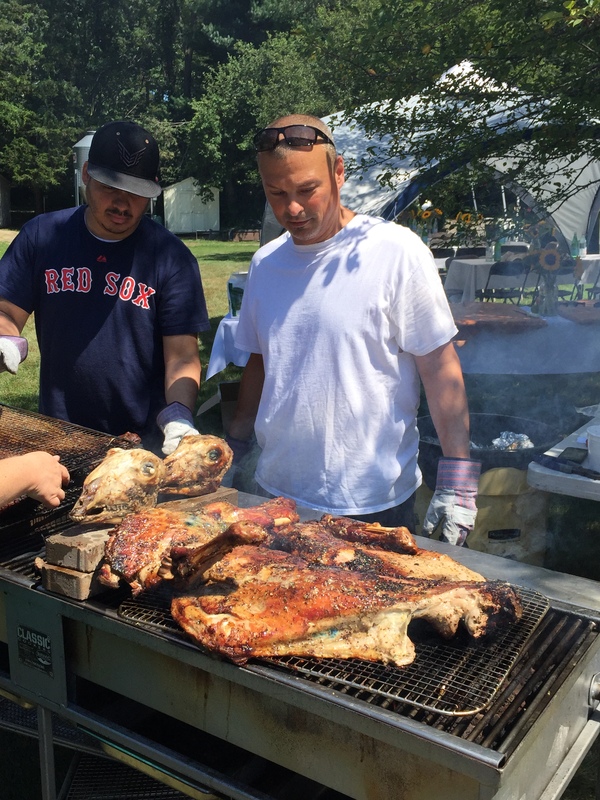 Over twenty chefs, general managers and restaurant owners from Massachusetts and Rhode Island wearing sneakers, full arm tattoos and some even in socks and kitchen Crocs, gathered to learn about purchasing local lamb directly from the farmer. 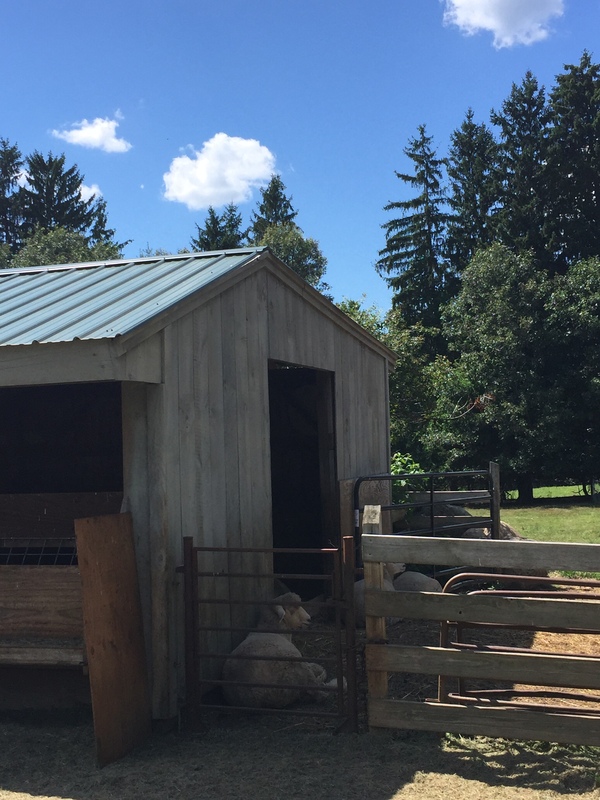 Nancy and John started the farm with just two small sheep as 4H projects for their son and daughter in 1990. Today they have 45 ewes on 15 acres. “If you can get a lamb to produce three times in two years she is a keeper,” Nancy advised. Lamb and sheep have a gestation period of five months, and most animals will “lamb” twins. 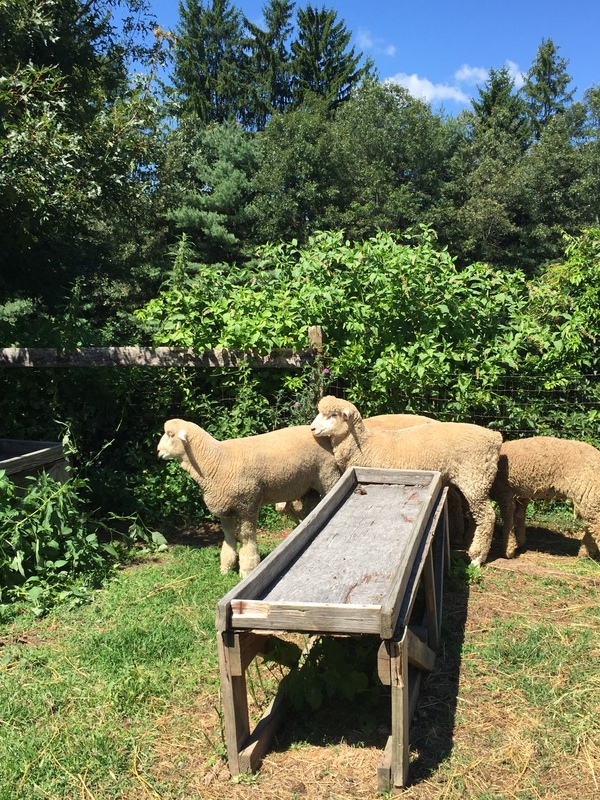 The farm produces lamb year-round, which is uncommon for a small farm. The animals are butchered at 120-140 pounds and will hang sheered, skinned and head-on at 60-70 pounds. It takes roughly six to seventh months for the animals to reach this weight. Hay made on site by Nancy and John, both animal science graduates, is used for feeding along with a 16% protein enriched grain feed. “I don’t like seeing thin sheep,” Nancy admitted. After the grounds tour, the chefs sat down in the shade to whole roast lamb, smoked over peach wood, and Jacks Abby. It was welcome refreshment from the blistering heat that beat down from a piercing blue sky littered with a few sharp white clouds. Sitting around six plastic tables under white peaked tents, chefs chatted in true competitive culinary form. They compared who had been working the most hours, what was on their current menu, how often it changed and who did what with lamb, each silently sizing up their fellow chef and quietly judging their practices and procedures. The butchery demonstration was given by Savenour’s butcher shop manager Adam Lucia. Although the conditions were not ideal — it was warm, the meat was getting soft and the hand saw was not breaking bones as easily as it would had the meat and air temperature been cooler — Adam did his best to demonstrate how to break down a whole lamb. “It’s not magic, it’s just a lost art,” he said as he delicately taps his boning knife with a steel mallet between rib bone and muscle. He explained what he uses the whole animal for and how nothing should be wasted. “The lard inside the lamb, it’s a shame not to use,” he said. “It’s like white gold.” He went on to suggest we use it to sear proteins in pans. Three days prior, sweat slowly creeped down the small of my back and my thick black chef pants stuck to my thighs. It was a Thursday night and it felt like the entire dining room at The Salty Pig had all sat down at once. 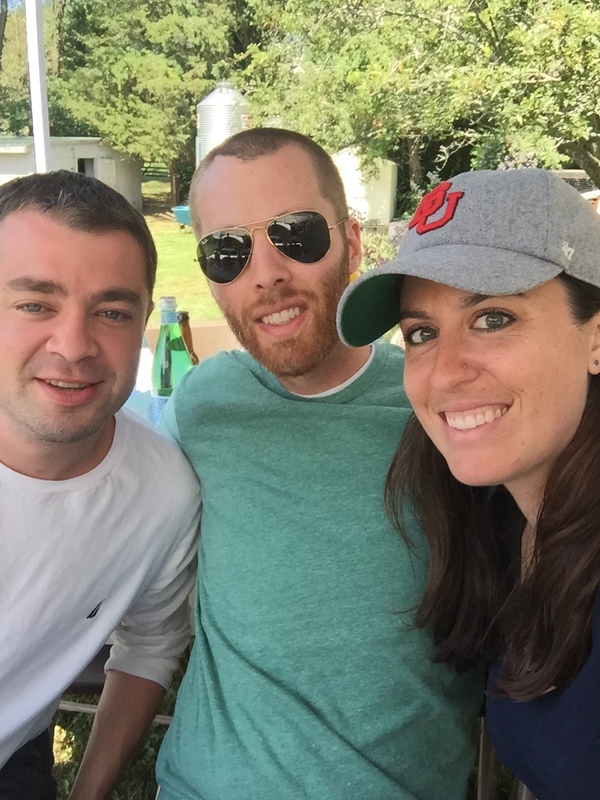 At 6 p.m. in the middle of picking up and plating three pork tastings, two buccatini and clam pastas and a small agnolotti, I heard my chef yell my name. “Lindsey, talk to Josh at the pass,” my head chef barked as he finished garnishing a plate with toasted sunflower seeds and five vibrant sunflower pedals. Josh leaned over the shiny black counter and asked what I was doing Sunday. Really? I thought. You want to know my Sunday plans when I’m frantically trying to plate six entrees on a space no bigger than a standard kitchen sized cutting board? “Um nothing chef, what’s up?” I respectfully answered. Over the clanking of plates and beeping of timers, thoughts continued going on in my head: Was my loin resting? Was the garlic burning in the pan or did I have enough time to turn around, bloom in the Aleppo and deglaze with white wine? He told me he wanted to tour a lamb farm and talk about purchasing a whole lamb. “Sure chef, sounds fun, text me later about details,” I spat out as I whirled back around to the six burner range. With a towel in hand, I grabbed sauté pans and heated up the black garlic purée. I then stole the crispy charred wax beans off the grill, aggressively chopped parsley to finish the pasta and tossed the finished plates to the pass.